Full Speed Ahead was proud to participate heavily at the biggest Mountainbike event in the world; the 15th annual Whistler, BC edition of Crankworx. 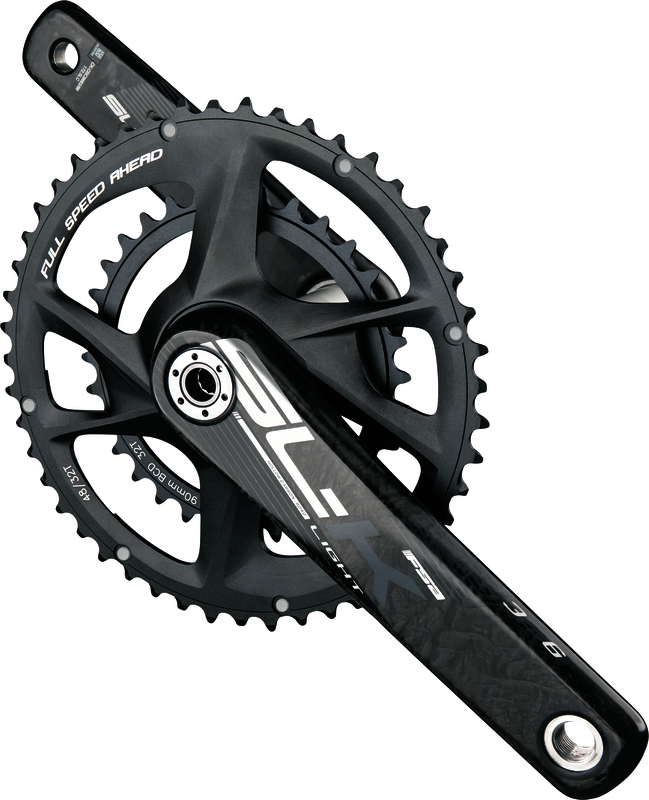 Located just 4 hours north of FSA’s North American Headquarters, FSA showcased it’s newest offerings in the ever changing, hard hitting MTB categories. We are proud to support riders competing in almost every event, from Slopestyle to DH, this is the place we love to see our products and riders hard at work. During the first weekend of Crankworx, FSA’s Dan Wolfe had the keys to the Enduro World Series Instagram Page (255,000 + followers), as he performed "The Big Bad Wolfe EWS Takeover” on Instagram. Dan sat out of this round of EWS racing as he recently suffered a bad crash to his elbow, rendering him on the injured list of riders. However, Dan interviewed riders in between stages, made great course observations, and talked bike tech with the pits, giving EWS followers a great behind the scenes look at what goes into competing at the Enduro World Series. Later in the week Dan was found entertaining Vital MTB in the FSA Booth as well as having a few good cracks at racing “Air DH” & “Dual Slalom”. We love Dan’s genuine love of the sport whether he’s on or off the course, he’s always at the center of the mix. Kona pro rider Alex Kangas and Marin’s Nikki Whiles where also on hand for the week’s events. Alex had a solid result in the EWS aboard our new Carbon Gradient Wheels, while Nikki styled out the Whistler Bike Park in a way the rest of us only dream of. Norco’s Josh Gibb raced Pump Track, Dual Slalom, and A-Line with respectable finishes in each. 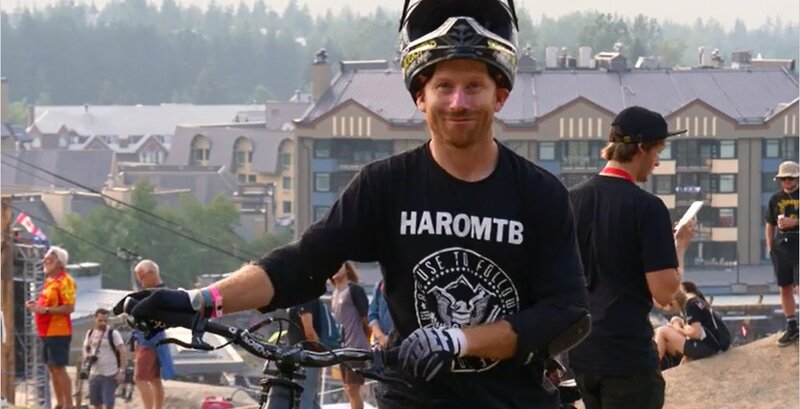 Haro and FSA’s Ryan Nyquist was at Crankworx to compete in Slopestyle; Crankworx’s biggest freestyle event attracting over 30,000 spectators, now thats a crowd! Ryan was found signing autographs for his hundreds of fans in the FSA booth, as well as entertaining the internet with his Crankworx signature antics. Ryan killed the course all week, but suffered a foot injury late in the contest forcing him to pull out. Ryan rides FSA’s Gradient bars, stems, and cranks. FSA headsets can be found spinning time and time again as Nyquist throws countless bar spins every time he sets foot on his Haro dirt jumper. The hardest hitting, most Whistler-oriented wheelset in the new FSA WideR range is the Gradient wheelset With 29mm inner rim width, PRA locking collar, asymmetrical offset, and hookless bead, this wheelset was proven at this years’ EWS Whistler by Kona’s Alex Kangas. Alex and all the FSA Pro riders in attendance were testing the wheels at Crankworx, with all signs pointing to an unbeatable value for a very stiff set of carbon wheels. 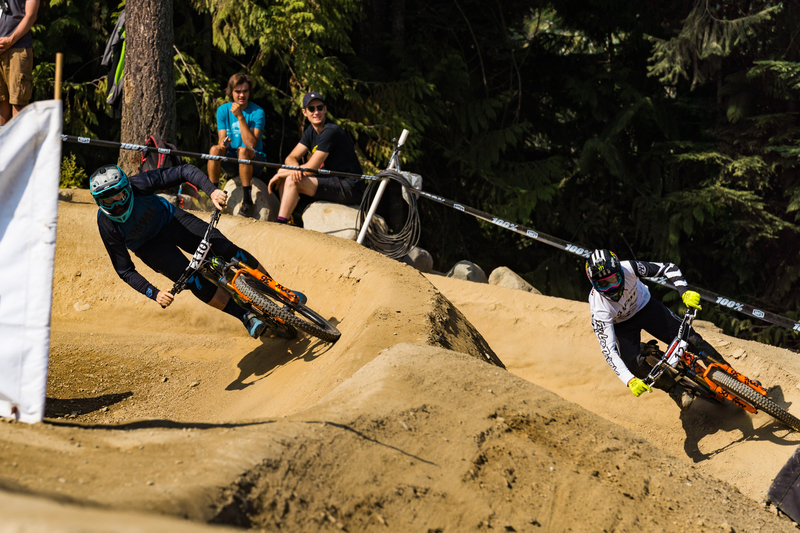 Crankworx 2018 was surely one for the books. Thank you to our dedicated riders, and to all who attended. We’re looking forward to seeing everyone next year!